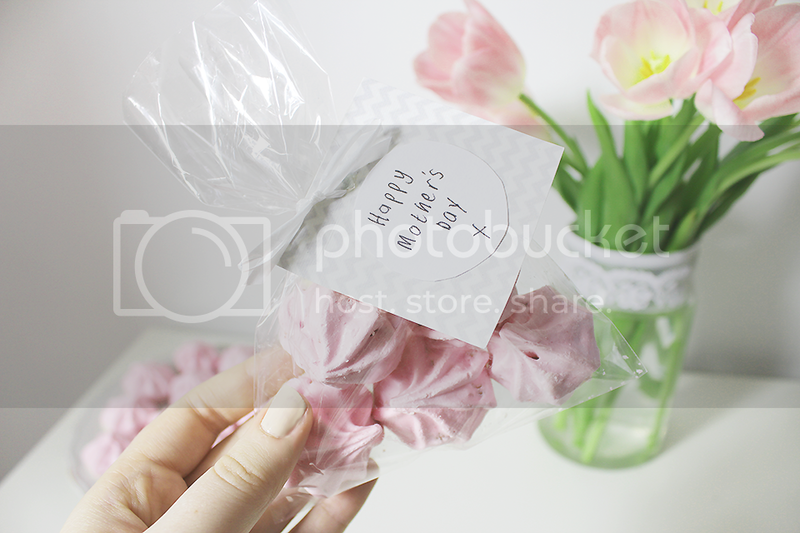 I thought I’d show you my meringue kisses I made for Nouvelle daily today. They’re perfect for giving to your mum for Mothers day. Recipe is here. I’m having a bit of a busy day today. I’ve got lots of clients work to do and trying to get my shop up and running on my design website for pre-made blog layouts. Hopefully that will up be up this evening/tomorrow. I’m also in the middle of uploading a Youtube video. I’m a bit miffed that I seem to have eyelash glue on my lashes which has dried white instead of clear, but what can you do? I think if I re-film it I will just want to rush through. So going to go with it. I’ll link it up later. Hope everyone is having a lovely week! I’m coming up to 800 followers on my blog! Think I’ll hold a giveaway when I reach it.